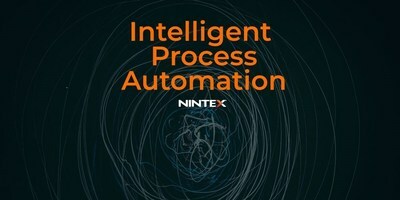 SAN DIEGO, Feb. 26, 2018 /PRNewswire/ -- Nintex, the world's leader in intelligent process automation (IPA), today at its annual conference, Nintex xchange™, previewed new process and machine intelligence capabilities within its no code platform designed to drive even greater process efficiencies for enterprise organizations worldwide. Aragon CEO and Lead Analyst Jim Lundy talks about the importance of intelligence on process automation. "While low code process automation platforms have enabled enterprises to take a huge step forward in automating a wide range of business processes, the rise of artificial intelligence in its various forms – machine learning, natural language processing, deep learning, etc. – are enabling companies to not just move at the speed of business, but to do it much more effectively." Nintex has innovated beyond low code solutions to create a no code offering that empowers line of business workers to automate, orchestrate, and optimize their own business processes, without having to wait for IT. Nintex CEO John Burton says, "Nintex has been a pioneer in workflow and content automation, which has revolutionized how digital transformation is done in organizations. Today, we're excited to lead enterprises into the fourth wave of process automation which we refer to as intelligent process automation." McKinsey & Company estimates that 68 percent of enterprise processes remain manual. Nintex believes that intelligent process automation (IPA), which includes capabilities to leverage AI services and actions like smart routing/approvals, smart contract reviews, smart scheduling and more, is the key to realizing untapped opportunities in the long tail of automation. Nintex also believes that enterprise organizations seeking to achieve digital transformation need a new approach to process automation, one that is based on trust between lines of business and the CIO and IT department. An IPA platform enables CIOs and IT departments to give their executives and management teams new capabilities to automate and optimize their own business processes. Because Nintex is trusted by IT, line of business workers can drive digital transformation without disrupting existing systems and processes, or compromising sensitive enterprise data. "Intelligence is the new currency of business," says Nintex CMO Matt Fleckenstein. "With the rise of artificial intelligence, Nintex is making it possible for line of business workers to leverage various machine learning, natural language processing and deep learning capabilities, to move repeatable, mundane tasks to machines and free up the employees to be strategic, creative, and innovative." Intelligent routing: Using machine learning, the intelligent routing action automatically routes a contract to the legal person most likely to respond and review the contract in the shortest time period based upon the type of contract, the dollar value of the contract, the time of day, the day of the week, etc. Intelligent redlining: Relying on natural language processing and machine learning, the intelligent redlining highlights any changes to the agreement that it deems material (e.g., at least one standard deviation change in pricing or contract length). Intelligent archiving: Parsing of the metadata and the text of a document is used to determine the type of document being archived and machine learning can intelligently route it to the appropriate location(s) for storage (e.g., within a cloud content management system, CRM system, etc.). "The biggest efficiency gain for organizations may come from the fact that IT can rapidly empower tens, hundreds or even thousands of power users across HR, sales, marketing, finance, legal and more to successfully automate their own businesses processes," says Nintex CTO Alain Gentilhomme. "Imagine a no code platform that's easy enough for the line of business and trusted by IT." To learn more about IPA, download Nintex's latest white paper at www.Nintex.com.